American Balloons would love to spark the flame in your heart to become a hot air balloon pilot. We have a group of pilots that would love to help you make this dream a reality. Not sure where to start, let us help you. What are the FAA license requirements? A student pilot’s certificate is needed before commencing flight training. To gain a student certificate, the applicant must be at least 14 years of age, be able to read, speak and understand the English language, and must certify that s/he has no medical defect that makes him/her unable to pilot a free balloon. The successful completion of flight training leads to a private pilot certificate, lighter-than-air category with a free balloon class rating. With more experience and training, the pilot can attain a commercial license, which enables the pilot to fly for hire or to instruct others to fly. 6 balloon flights under the supervision of an instructor. One flight to at least 2000 feet above the take of point. Two flights of at least 1 hour each with 60 days prior to application for the rating. An oral and written exam. 10 hours of training including 10 training flights. 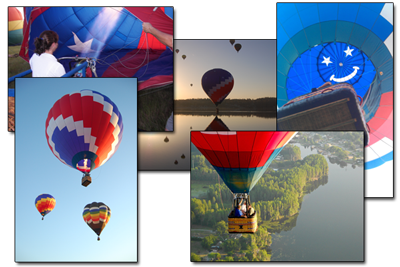 American Balloon Rides is an authorized dealer of Kubicek Balloons. Visit their website to get more information. On Staff I/A for all your repair needs. If your balloon is due for annual inspection or is in need of maintenance, we would be happy to provide you with a quote. Pricing is based on size of system and maintenance that is required. Avaialble for all of your maintenance needs! Contact us for assistance with your Aircraft Repairs. We can handle both Lighter than Air as well as Fixed Wing and Helicopter Repairs!